I’m obsessed with Burgers. No big news there. Moreover, I’m also obsessed with the stories and business behind them. How does an old school short order diner like Bates Hamburgers in Livonia, MI stay open, never changing in style or menu while a pub like The Vortex in Atlanta, GA has to offer the most outrageous Burgers and Beers on the planet. Meanwhile we can’t get an In-N-Out in NYC but Steak ‘N Shake can open up right near Times Square even if they have to change their concept. 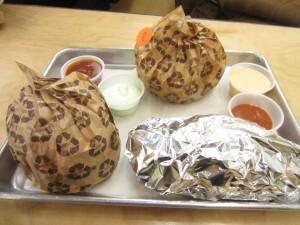 When people visit the Thurman Cafe in Columbus, OH they want their Burger on a plate but at the Apple Pan in Los Angeles, there would be an upheaval if the Burger wasn’t wrapped in wax paper and the Soda served in a paper cone via a metal stand. 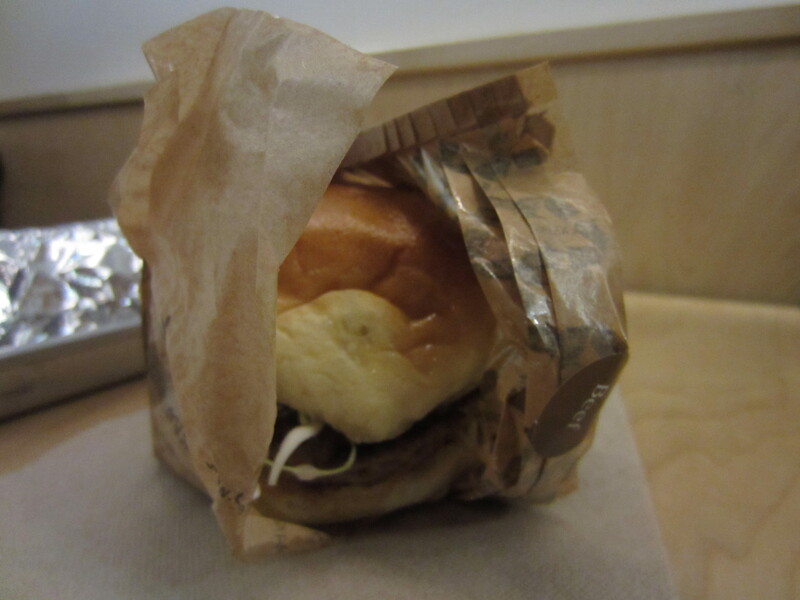 I love to hear the why, how, who, where, & when behind the Burger. People love the Corner Bistro, while others fear the Grill ‘Em All Truck and I’ll never get it. Styrofoam or paper cups? 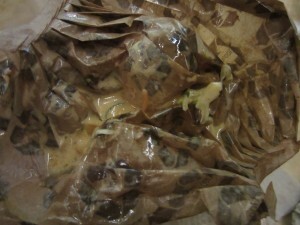 Wax paper or cardboard box? Eat-in or Dine-Out? 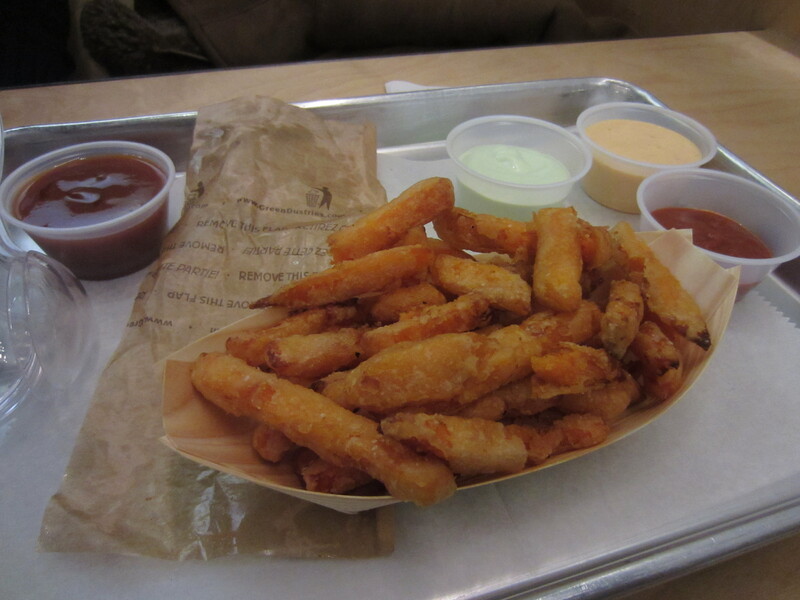 Crinkle cut or Shoestring Fries? Ketchup packet or dispenser? I love em all, save for ketchup, yuck. 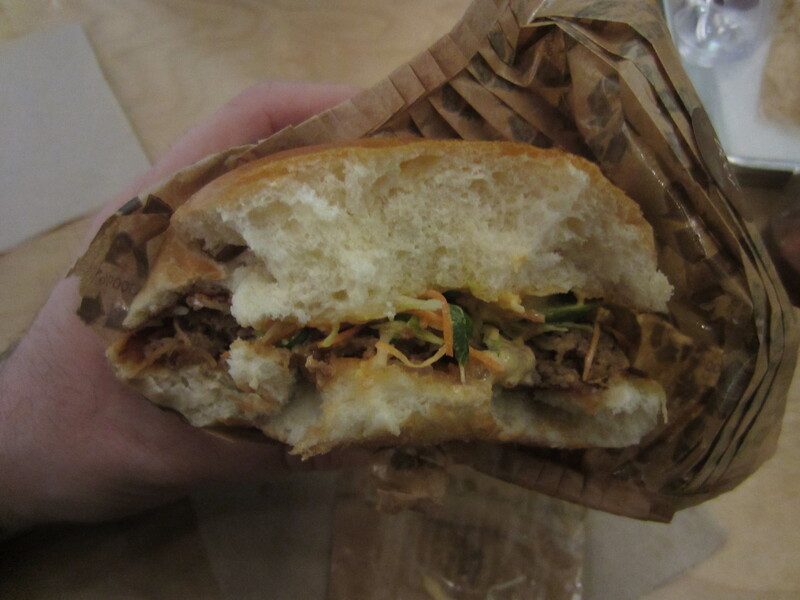 Whoever first put that on a Burger was eating something that needed flavor disguising…but I digress. 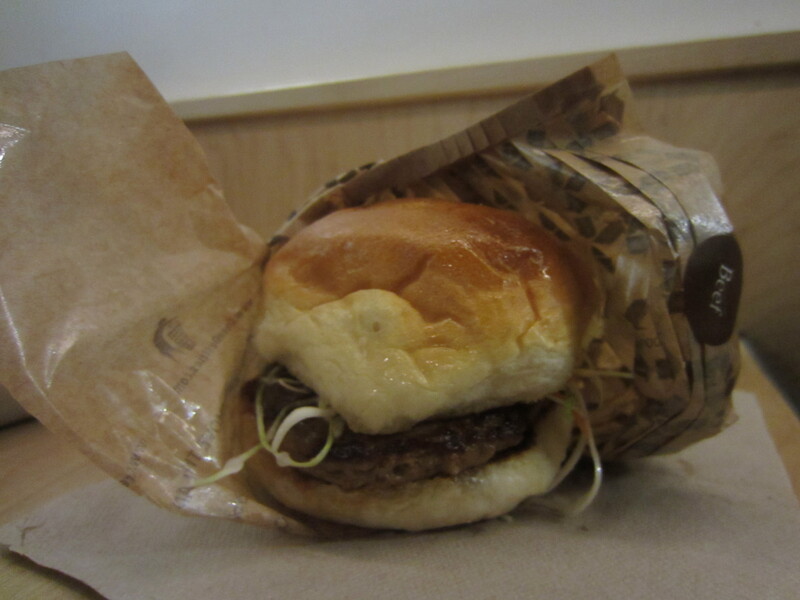 I thought that was pretty nifty and wanted to try out a Burger wrapped in a PleatPak. Once something gets into my head, there’s no getting it out until I do it and that’s what lead me to Kobeyaki. Some might say Burgers are a dime a dozen while there is certainly no shortage of Burger options in NYC, one place is trying out a totally new idea. 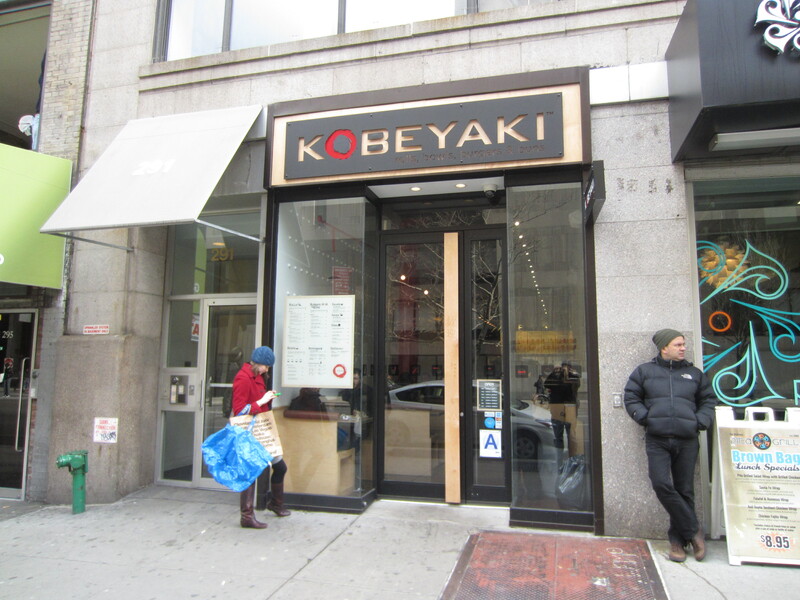 Welcome to Kobeyaki, a fast-casual restaurant in Manhattan’s Chelsea neighborhood whose main idea is to server a unique array of fresh Japanese food. All of their Meat sources, many of which are locally sourced, feed animals a strict vegetarian diet without the addition of growth hormones or antibiotics. Even the design of their restaurant reflects their green attitude, sourcing most of the wood used to decorate and built from abandoned farms just over the water in New Jersey. 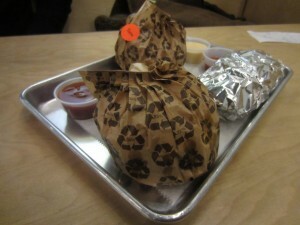 As much of the packaging used to serve food is made from recycled materials, including the PleatPak. While that’s definitely a way restaurants are headed in the future, it’s not the main draw for the restaurant. Kobeyaki serves everything you would expect from a Japanese fast-cas spot like Sushi Rolls, Teriyaki Bowls, Udon & Buns but as far as this eater is concerned, they also serve Japanese influenced Burgers. Choices range from Spicy Tuna, Chicken Teriyaki, Grilled Veggies or Kobe Beef. There’s also Soda, Beer & Sake available to wash down your meal. As curious as I was to try out the PleatPak, I was even more curious about eating the Kobe Beef Burger with Teriyaki Onions, Teriyaki Ketchup & Spicy Mayo (despite earlier negativity towards Ketchup.) I placed my order, grabbed a soda (double points to Kobeyaki for having Coke Zero at the fountain) & nabbed a booth. Quick note about the booths here, they have storage units under the seats for bags, coats and packages. Not only will your hands be saved from Food drippings, so will your things! A few moments later my buzzer went off and I retrieved my Burger and Tempura Sweet Potato Fries from the counter. Let’s talk Burger first, the Bun, which was really fluffy and a little sweet to taste did a fantastic job of holding up through the Sandwich but it was a little thicker than I thought necessary. The Teriakyi Onions were sweet due to the natural taste of the Onions but also the sweet and sour Teriaki seasoning. 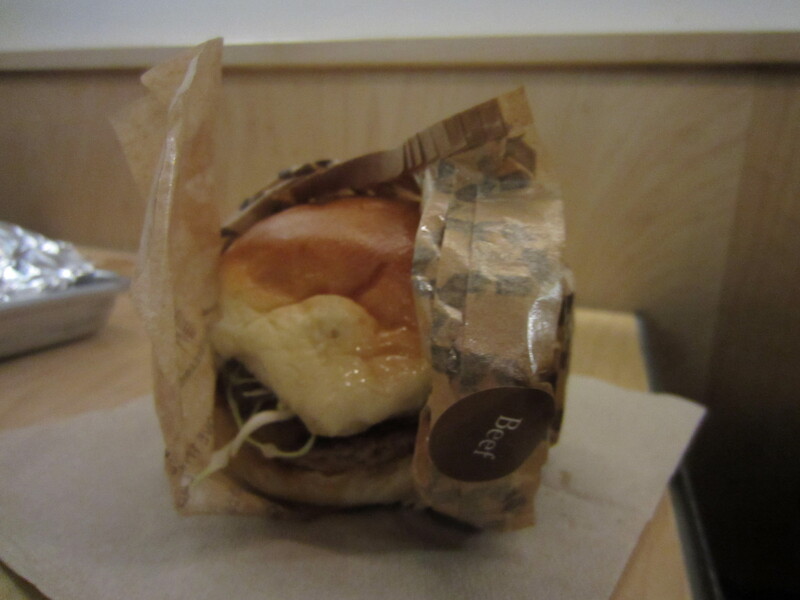 It was a nice touch and certainly a prevalent part of the Burger’s taste profile. The Mayo and Ketchup also played of the overall sweetness but were used in a sparring sense that only slighted added into the taste. The Beef itself, a little overcooked, was moist, juicy and a mix of sweet and savory, balanced more in the direction of the former. It was quite unique and without a doubt worth checking out. I do however wish there was more Meat in the patty and a less depth in the Bun, especially since it’s the star of the show! 2. 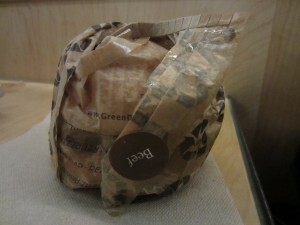 It kept juices and sauces contained in the packaging and off of my fingers and clothes. 3. 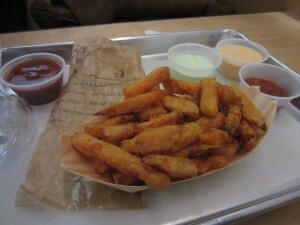 It created a mini pool of Teryiaki Sauce that was great to drip my Fries into! Is this the future of the Burger packaging industry? Who knows but it is a great step forward with a great idea. 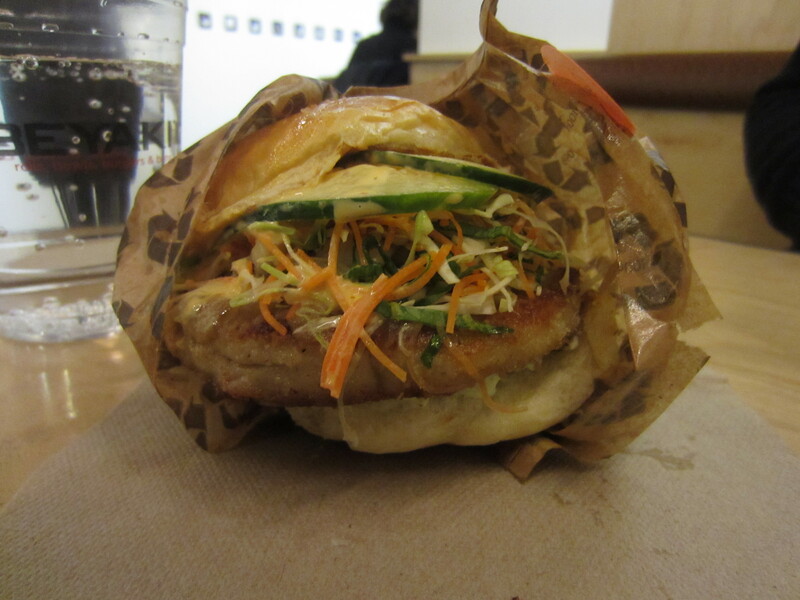 Thankfully for you, it’s wrapped around a great, Japanese cuisine influenced, fast casual Burger from Koebyaki. I can’t understand why they would wrap their French Fries in tinfoil when all that does is make them soft and soggy when GreenDustries offers a PleatPak designed to do the opposite! Kobeyaki scores a 6 on The Rev Meter. This entry was posted in Burgers, Gourmet Burgers, Hamburgers, New York and tagged burger, cheese, ciancio, conquest, french, fries, great, GreenDustries, hamburger, kobe, kobeyaki, new york, ny, nyc, PleatPak, rev, review, the, the rev meter for social community. Bookmark the permalink. Thanks for including the CNN video showing the packaging in action. Looks like some neat stuff!